Kalun is using Smore newsletters to spread the word online. You will have fun with the pads! 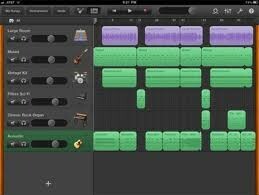 IN garage band you get to make up your own music with a recording. In Pic Collage you get to be creative! You get to make descriptions and take pictures to fit the definition. I Movie is awesome! You get to create your own movies!